The Saber is an unusual release for LG. In the past they have stuck to slider phones, flip phones and the increasingly common candy bar form factor with an all touch screen face. This feature phone release looks more like a BlackBerry, with a small screen and a full QWERTY keyboard beneath. It’s ideal for one-handed texting and a number of manufacturers have adopted this style for low to mid-range messaging devices. That’s exactly the bracket that the LG Saber fits into. It is a fairly attractive device with a 2.2 inch TFT screen and a full QWERTY keyboard on the front. It is wrapped in a silvery grey surround that curves round and covers the back as well. Rather than a shiny finish it is a kind of matt effect. It does feel a little slippery so you’ll probably want to get a case for some grip. It is reasonably compact measuring 4.51 x 2.35 x 0.52 inches (115 x 60 x 13 mm) and it only weighs 3.56 oz (101 g). The screen is pretty basic but it does the job. It supports 262,000 colors and a resolution of 176 x 220 pixels. It’s really not great for video, games or pictures but text is perfectly legible and there’s no video player anyway. It does prove tough to read in direct sunlight but that’s no real surprise. Directly below the screen you have the usual four way navigation toggle with an OK key in the middle. There is also a camera key and green Send key on the left and a clear key and red End key on the right (the End key doubles up as a power key). Moving down you’ll come to the full QWERTY keyboard with the numbers highlighted in orange. The keys are slightly raised but inevitably they’re small, so typing accurately can be tricky. They are plastic, bubbled keys and compare fairly well with similar phones. Thankfully the space bar at the bottom is slightly larger. You’ll find the volume controls on the right spine of the phone. The left is home to the micro USB port for charging. 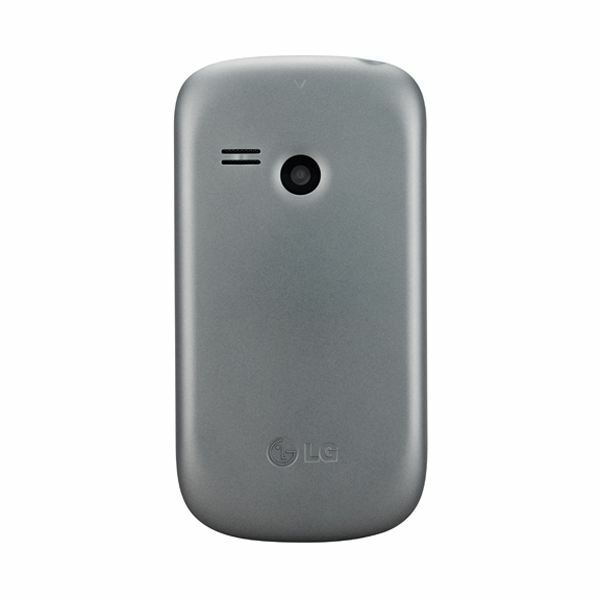 The back features the camera lens (no flash) and an external speaker. The only other port you’ll find is a 2.5mm jack on the top. The operating system is basic but perfectly usable. You’ve got a grid icon layout and navigation with the square toggle is simple. As you’ll see in the next section the LG Saber is light on features so there isn’t a great deal to navigate through. The most important thing for most people picking up this phone is the ability to text and the keyboard does allow for relatively easy one-handed typing. This is a basic messaging phone and so the features are limited. 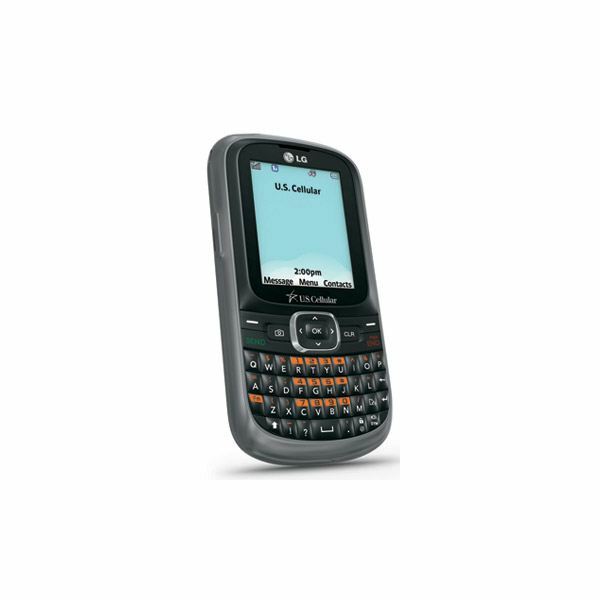 It is a CDMA phone supporting 850 and 1900 bands. It also has Bluetooth 2.1 support and there’s the micro USB for charging, but that’s it for connectivity. You’ve got the usual basics including a phonebook that will hold up to 1,000 contacts with various details. You can also assign photos and ringtones to contacts and organize them into groups. You can choose from 33 ringtones that come preloaded. There’s a calendar, calculator, alarm, world clock, voice memo recording and a couple of other standard features. More interestingly you’ve got the ability to record voice memos and the phone supports voice activated dialing. It also has a decent one-touch speakerphone. There’s a basic web browser but you won’t want to do too much surfing on the LG Saber. Text and multimedia messaging is simple and you have the usual threaded conversation layout. Unfortunately there is no support for email or instant messaging which is a shame considering you have the keyboard. The camera is awful. It is a VGA with four resolutions to choose from and a few other settings but the shots are such poor quality that there isn’t much point in bothering with it. There are arguably too many glaring omissions on this device. You’ve only got 85 MB of internal memory with no option to expand so maybe it’s just as well that the Saber doesn’t have any video recording capability. It also doesn’t have a music player so the 2.5 mm headphone jack isn’t really a problem. It does come with a few basic games and you can download ringtones, wallpapers, more games and basic apps via the EasyEdge store. The reception and call quality is reasonable. Voices aren’t especially loud and sound a little fuzzy on both ends but nothing that would cause a major headache. The speakerphone produces a little echo but otherwise it is good. The battery life is reasonable. The 950 mAh battery should give you around 8 days of standby and you should get more than the stated 3 hours of talk time from a single charge. 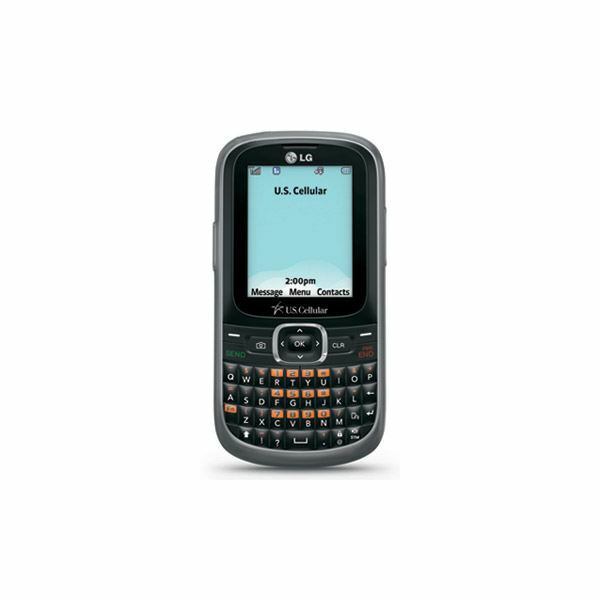 The LG Saber is available on U.S. Cellular and you can get the phone for nothing with a 2 year contract. Considering the price, this is a fairly attractive prospect if you just want a basic quick messaging device for calls and texts. If you have the budget then it’s probably worth spending a little more to get a phone with email support, a music player and a decent camera, but not everyone needs those features so the Saber has its place in the market.